Buffalo DJ, DJ Big Rob Shines at Red Bull Thre3Style U [EVENT] – Be Fearless. Be Flagrant. 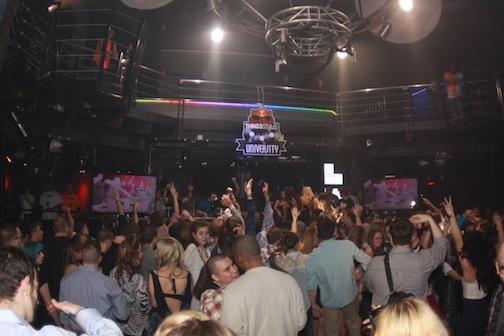 BUFFALO, NY (March 30, 2013) – This past Saturday night, Buffalo kicked off the Easter weekend with Red Bull Thre3style U in downtown Chippewa at LUX Night Club. Eight local DJs packed the dance floor with 800 attendees and spun their most unique sets integrating genres from Moombahton to vocal tracks. 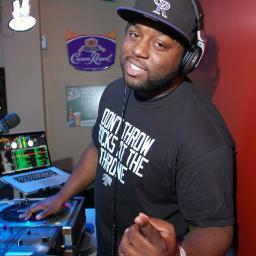 It was DJ Big Rob who took home the $1000 prize purse and the bragging rights to share with his local following. “Sometimes it takes an outside force like Red Bull to really expose the Buffalo DJ culture”, said DJ Big Rob after winning Red Bull Thre3style U. “It was a humbling experience walking into a setup like we had at LUX”. Not far behind in points was DJ Brother Bear, the 2nd place winner combining 6 to 7 unique genres. It seems that DJ Big Rob gained the upper hand by using his iPhone to ask Siri how he could beat the competition mid-way through his set. “It came down to the overall energy from the crowd. DJ Big Rob held on the gas for 15 minutes straight where other DJs plateaued 7 minutes in”, explained DJ Heat, Red Bull Thre3stlye U emcee.